After a huge hype from Ubisoft, Watch Dogs 2 is finally here. The original Watch Dogs, which came out in 2014, had major problems with narratives, and it was plagued by controversies. 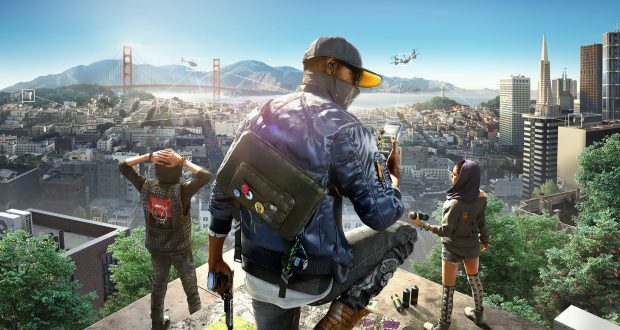 Ubisoft promised the new Watch Dogs 2 would deliver what was promised in the original game, which was better gameplay, graphics and story. Does it live up to Ubisoft’s promises? The game is set in a reimagined sunny San Francisco city area. You play as Marcus Holloway, a young, intelligent hacker, who finds out ctOS (central Operating System) has marked him as a trouble maker and punished him for crimes he did not commit. San Francisco installed the ctOS, which connects everyone with everything after a security threat in Chicago. Marcus realised that ctOS system brings harm to the innocent citizens, so he decides to work with the hacking group DedSec to take down the city’s ctOS 2.0, and Blume, the company behind the technology. Even though you play as Marcus, you also get help from other DedSec members like Sitara and Josh, who both have their own abilities. To complete the mission, the player has to use Marcus’ wide range of techs like smartphones and laptops to hack into various things around the environment. With a tap of a button, Marcus can hack into systems, open doors, remote access computers and steal data from them, control window-cleaning lifts, fork-lifts and elevators and take over security cameras. Just like the previous Watch Dogs game, Marcus has a choice to complete a mission in a lethal or non-lethal way. The missions’ layouts are the same as the original Watch Dogs’ and it can be fun at times, but it does not add anything new. The storyline is rather weak and most of the time I had no clue what I was doing. The missions quickly became boring and tedious and I got frustrated doing the same thing over and over again. If you played the first Watch Dogs, you will quickly find this game’s missions very repetitive. There is also a huge issue with the game’s artificial intelligence. I am puzzled how Ubisoft can make a game with terrible AI in 2016. There was a time where I killed an enemy and threw his body where everyone could I see it, but another enemy did not even know he was dead and casually started talking to him. Another example is, there was a security guard looking at a door and I wanted to get his attention so I could enter without being noticed. I hacked the door and opened it but the guard did not notice and walked a different way to investigate a noise. Ubisoft continuously bragged about how players can use stealth, or non- stealth, to complete missions, but I do not get how anyone can have fun with terrible AI. This is a massive let down. The graphics are one of the main strengths in this game. The graphics look amazing and UBISOFT did a good job here. The city looks and feels just like San Francisco and they used a very nice colour pallet to make it pop-out. The textures are highly detailed and it looks amazing even up close. The buildings have a great number of polygons on them and they look incredibly detailed even from far away. I cannot say that about many other open-world games *cough Mafia III cough*. Apart from the city, the main characters and non-playable characters also look impressive. They have high amount polygons and textures, and it looks better than the previous Watch Dogs. The vehicles on the other hand are a bit disappointing. It generally looks good and fits in with the San Francisco atmosphere, but the vehicle damages look rather bland, and it doesn’t look like much work has gone into them. However, even though the city looks beautiful, it does not mean it is fun to roam around. The city feels empty compared to GTA 5. There are not many pedestrians or cars on the street, it looks like the apocalypse happened and a bunch of people went missing. It is a shame really. They built an amazing looking city but did not add much to make it feel alive. The game also has some graphical issues with both polygon and textures randomly popping-up on screen. This can be very annoying especially when you are on a mission. There was one time when I tried to find a car but could not because the car polygons were not loaded properly and it looked like a grey cube. I hope these graphical glitches can be fixed with a software update. The soundtrack is pretty good and so is the voice acting. Soundtracks range from Rock to Jazz to Hip Hop to Electronic. However, the sound effects felt rather bland and poor overall. For example, a car crashing into a concrete wall sounds like a car being hit by football. I played the original Watch Dogs and Watch Dogs 2 side-by-side and can confirm there are recycled sound effects. The game is mediocre at best, and it fails to live up to the expectation Ubisoft built. The story is weak. The gameplay can be a bit repetitive and the AI is broken. The characters are childish, annoying and cringeworthy at times. However, it does have a beautiful city and the missions can be fun at times. If you are planning on buying, wait until the price drops down significantly. It is certainly not worth £55.